A special princess deserves a special fairy wand. 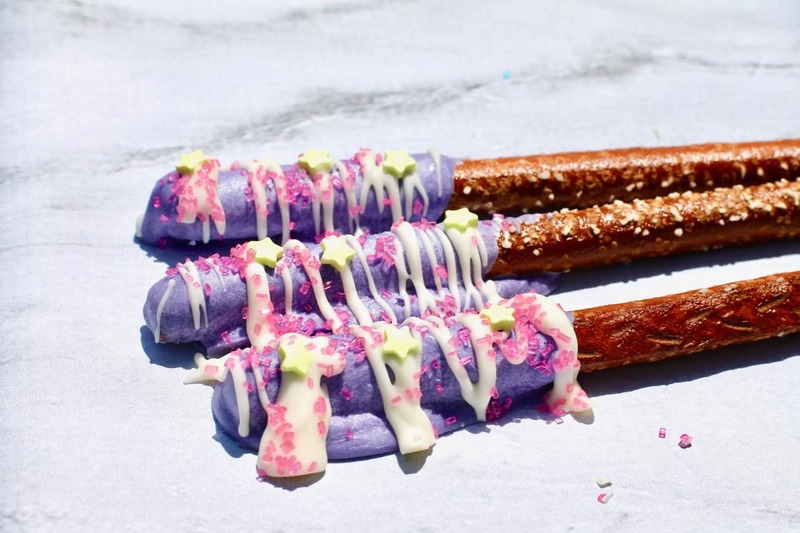 These chocolate covered pretzel rods are exactly what you need for a special Fairy or Tinkerbell birthday party or even a great treat for a school bake sale. They are so easy to make and they look so pretty! These would look spectacular in a mason jar on a girls birthday table. 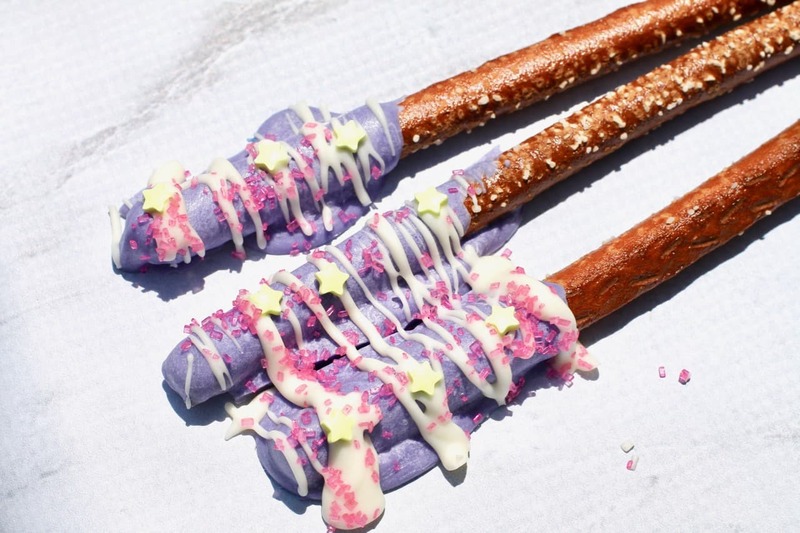 Dip the pretzel rod sticks into the purple melted chocolate, turning to ensure coverage. Drip the white melted chocolate over the purple chocolate. These are so pretty and can be altered depending on what your colors of your party are. These are so pretty!! These chocolate dipped “Fairy Wands” would also work for a garden, fairy, Tinkerbell themed party. These would also look and taste fantastic for a bake sale. I would wrap 2 chocolate pretzels in a cellophane bag and tie with a ribbon and a tag.